Nissan Motor (GB) Ltd is to highlight over 40 years of sportscar heritage at the Goodwood Revival this weekend (September 17-19) as it proudly displays the company’s modern day 370Z and GT-R alongside the classic cars to which they owe their heritage. As has become customary at the Goodwood Revival modern vehicles appear in the “Earls Court Motor Show”, a recreation of a period exhibition with modern day cars appearing alongside their historic counterparts. 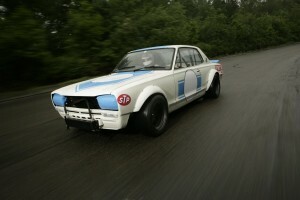 On show will be the precursor to the modern Z car - a 1971 Datsun 240Z Works Rally Car built by the company’s competition department in Oppama, Japan. 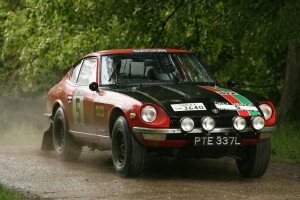 Based on the original ‘Z’ that was first launched in 1969, this particular car competed in the RAC Rally before becoming a regular on UK rallies until 1975.